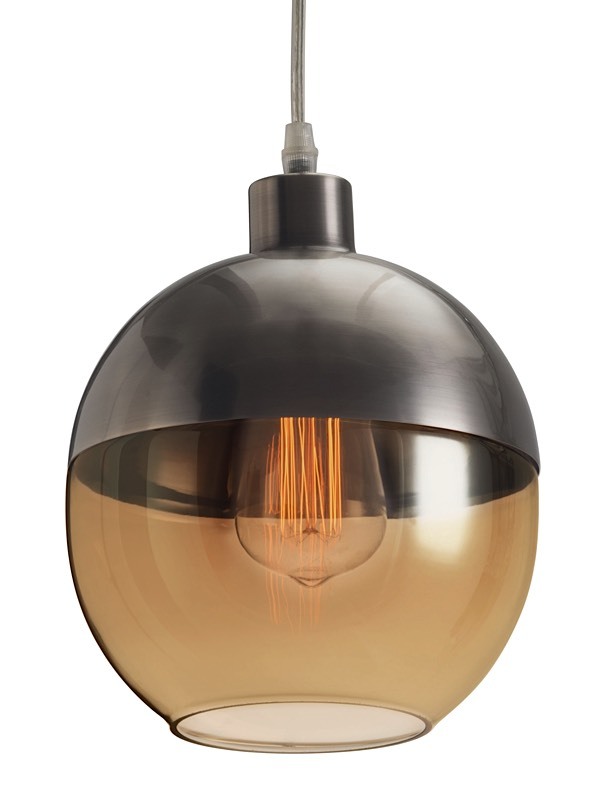 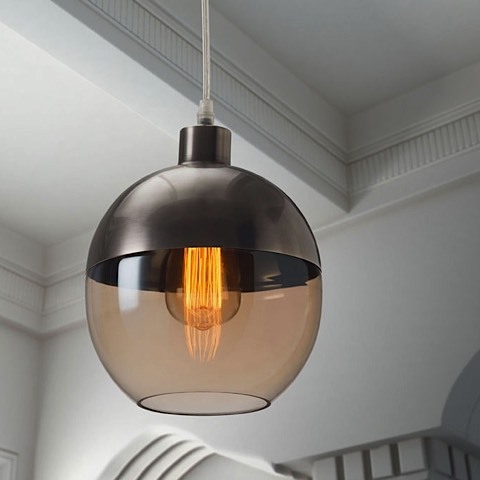 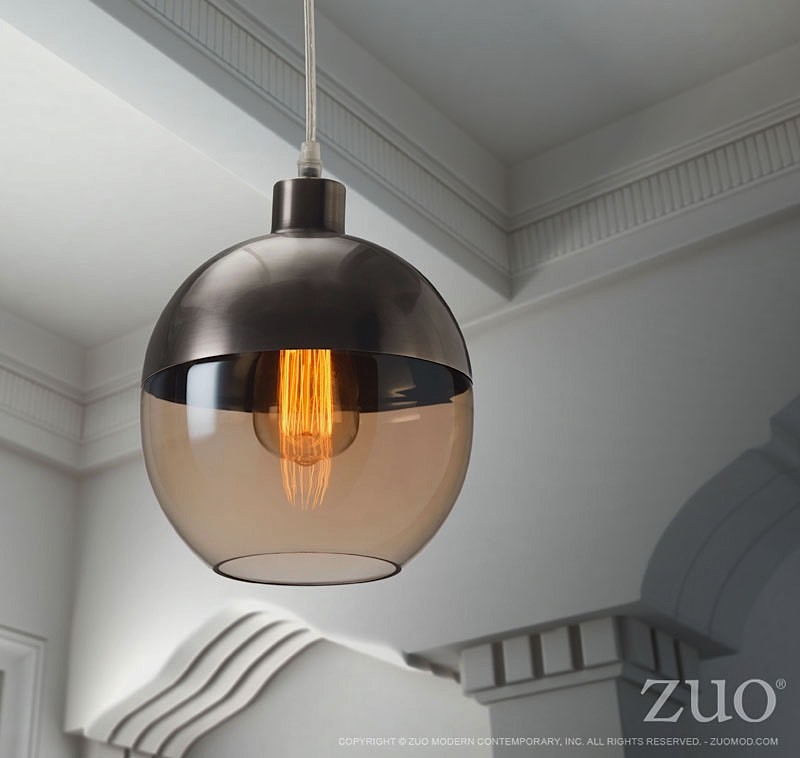 The Trente Ceiling Lamp features sleek retro styling with a tear shaped Edison bulb surrounded by a round, amber colored blown glass shade accented by bronze satin metal. 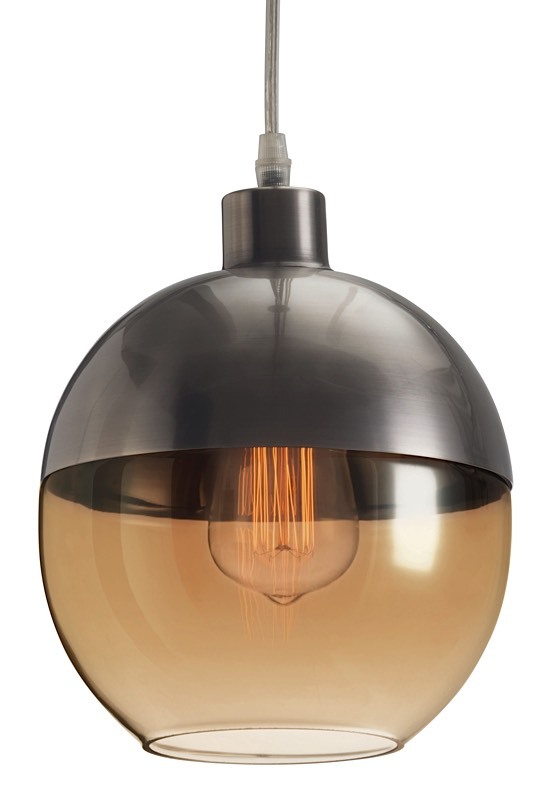 Add this to a living room or bar for subtle vintage look or hang in entry way for understated nostalgic 1930 feel. 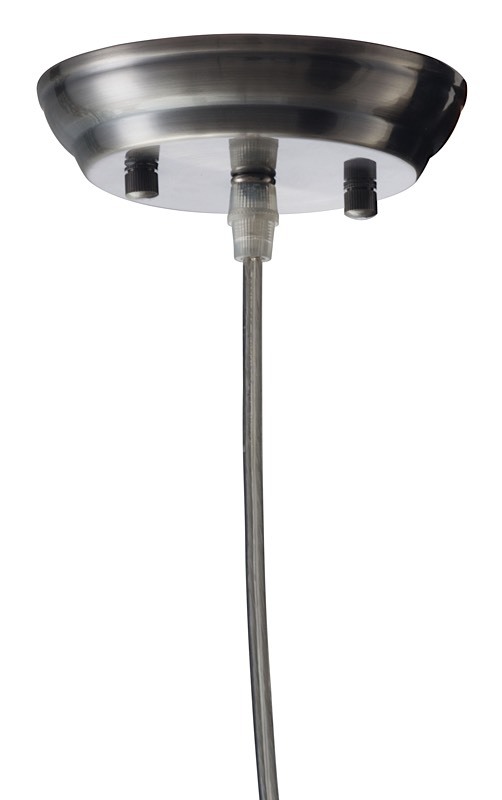 Trente requires one (1) 25 watt max Type T Edison bulb with an E26 socket size which is included with the lamp. 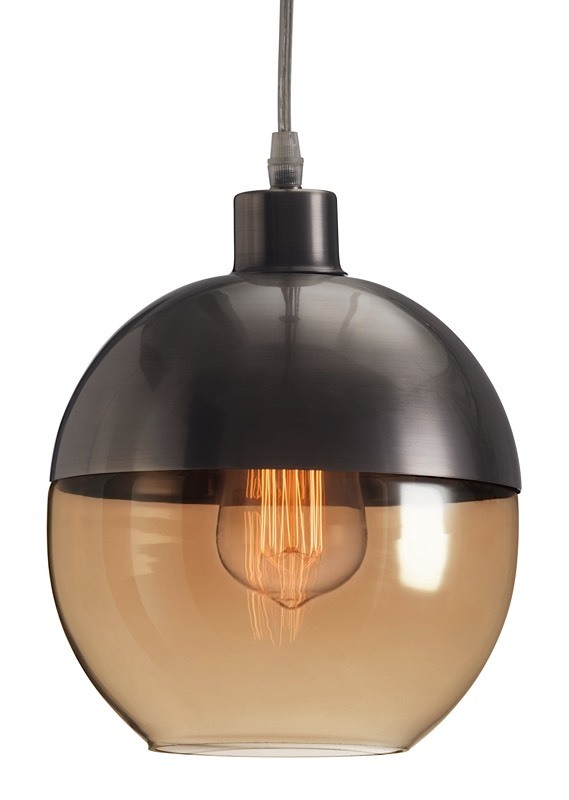 The cord for the lamp is 118 inches long.